¶ 1 Leave a comment on paragraph 1 0 Earning a commemorative held a great pay off for those advocating that their hero or historic event deserved a place in the corpus of American postage stamps. Figures such as Booker T. Washington and Susan B. Anthony became part of a mainstream visual narrative of American history. Spaces with their names appeared in empty stamp albums calling out to be filled. 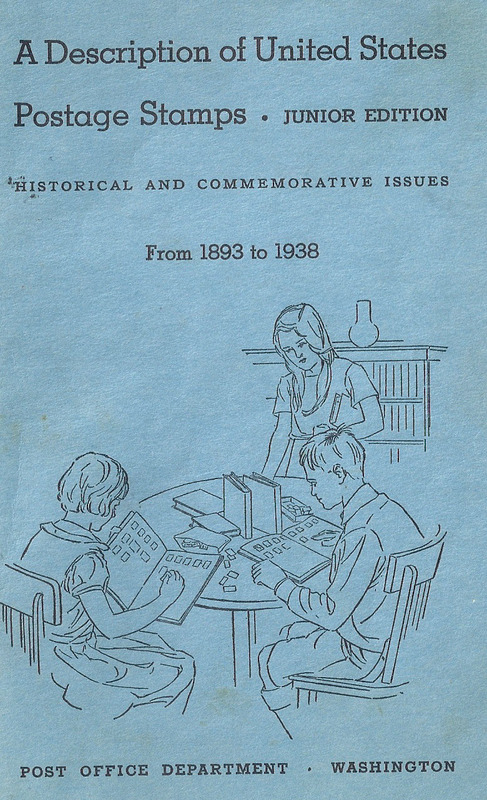 And, the USPOD invested in promotional efforts to encourage citizens of all ages to fill those pages and to read commemorative stamps in the context of American history. 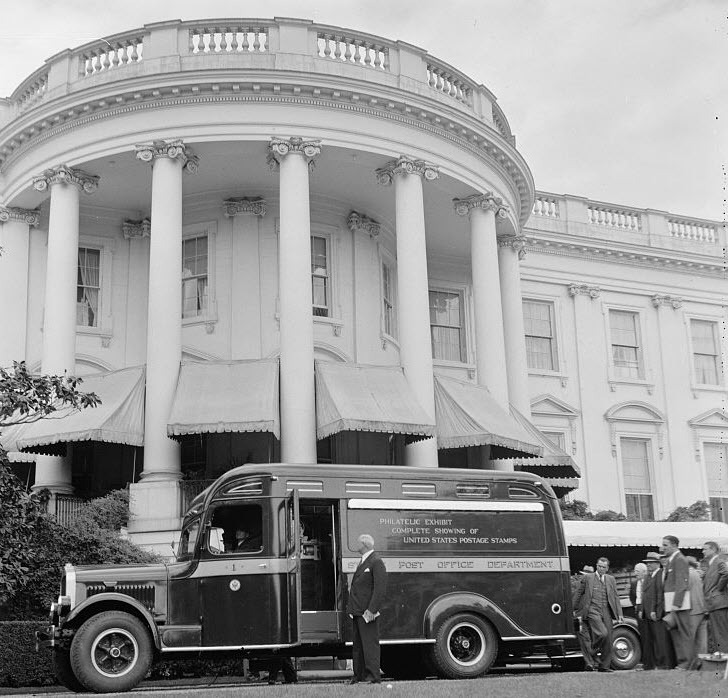 ¶ 4 Leave a comment on paragraph 4 0 Intending to stimulate interests of young Americans living in rural areas, the truck was a popular attraction every place it visited. Interest in the truck began before the tour routes were solidified. Many local postmasters and stamp club members wrote to Postmaster General Farley asking that the truck stop in their town. To encourage visitation and community participation while the truck was in town, local newspapers promoted the truck’s stop in their town and the mission of the USPOD’s stamp program.3 Like many traveling cultural exhibitions, the truck offered citizens who could not visit the home institutions in Washington an opportunity to view the catalog of US stamps. ¶ 5 Leave a comment on paragraph 5 0 While touring, the truck’s staff did not sell any stamps, but instead sold a small booklet intended for young collectors. 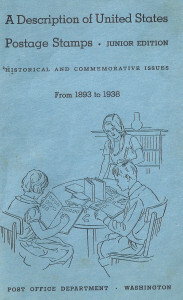 ¶ 8 Leave a comment on paragraph 8 0 Addressing the “Junior Philatelists of the United States,” Roosevelt wanted readers to know that he began collecting stamps as a child. 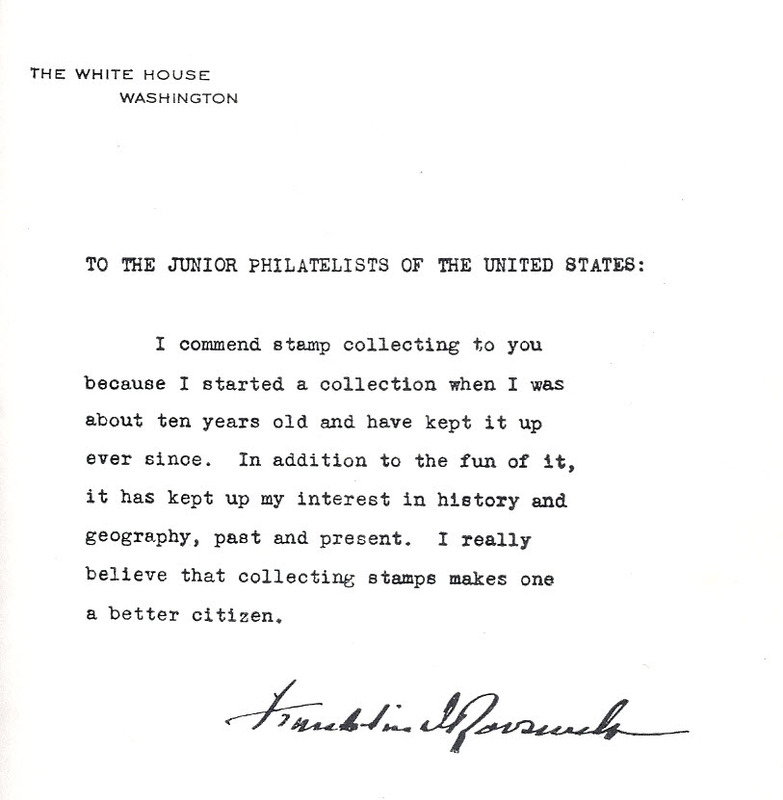 Even as president, his stamp collecting practices helped him to “keep up” his interest in history and geography. 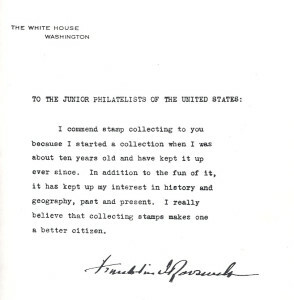 Importantly, FDR closed his note by telling readers that he believed collecting stamps made individuals better citizens.5 A presidential endorsement carried weight and influence with parents, educators, and young collectors.